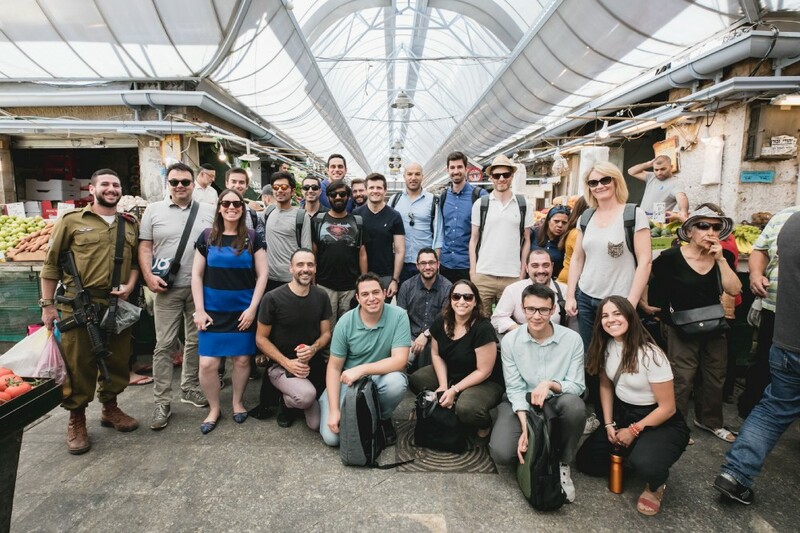 This article will talk about why every Australian Startup must go to Israel for at least 1 week in the early days of their startup career to learn the secrets of what has become known as Israel’s national sport — The Startup. It will use my recent trip to Israel on the Campus Exchange program for Computer Vision to add colour and flavour to the story. My name is Andrew and I am the founder of The Cognitive Company a computer vision and AI company. 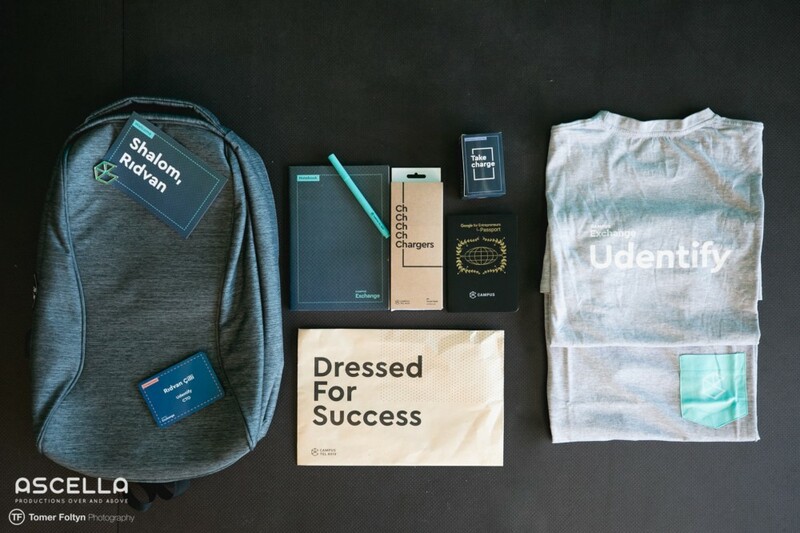 My side hustle is I am currently the data science instructor for the part time course at General Assembly. Before that I was a manager at Deloitte Consulting in Analytics and Information Management and dropped out of a PhD program at UTS in Deep Learning. To put things into perspective about how this journey all started, let me call to your attention the sign at the back of the Ideas Space in Fishburners. 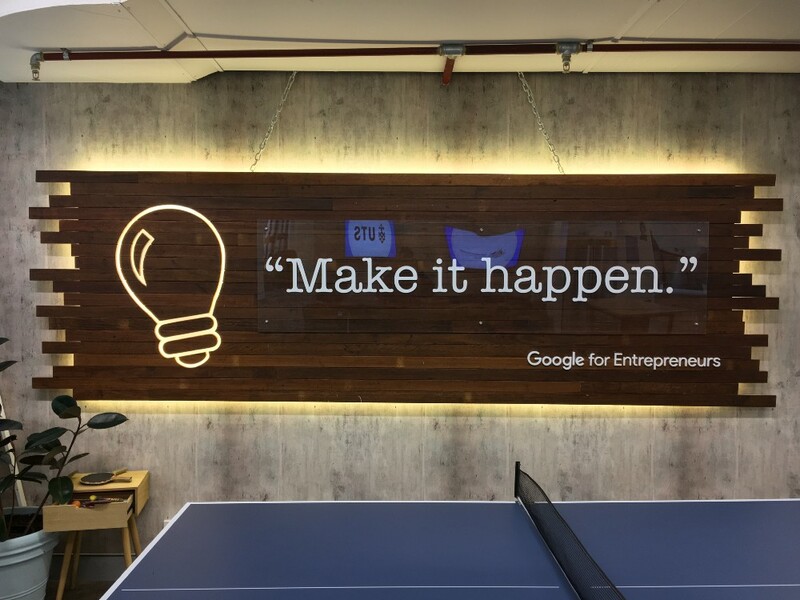 Notice the bottom right hand corner that says “Google for Entrepreneurs”. Now I had seen this over and over again back at the old Ultimo Fishburners office, but the significance of this sign had never dawned on me. It means we are a part of a global startup community that welcomes us into the various participating co-working spaces around the world. You can work from any one of these spaces above because we are all part of the same network. 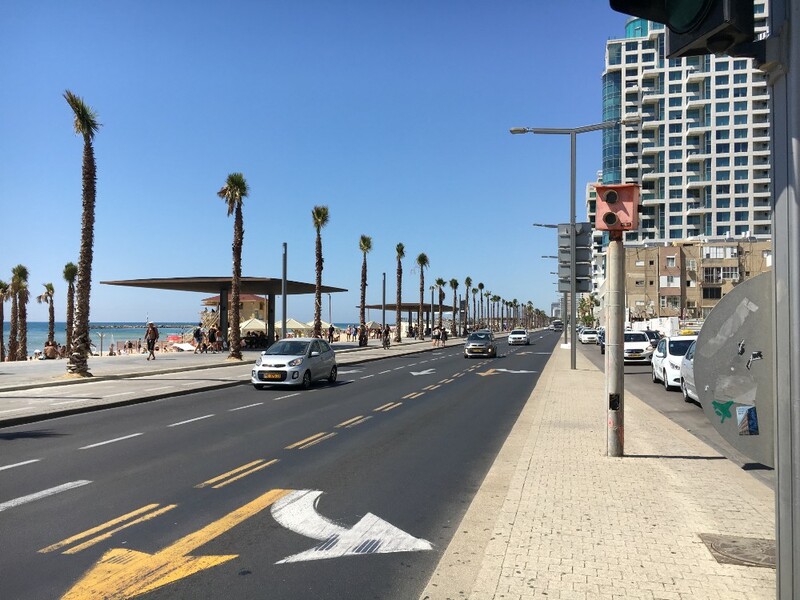 Campus Tel Aviv is the venue that hosted the computer vision program that I was lucky enough to be selected for — Campus Exchange Computer Vision. People in Australia who have only been exposed to Israel through the news and media think it looks like this… a war torn country. All we hear on the news is the bad press related to Gaza. Which couldn’t be further from the truth. This is what Israel really looks like. It is a very safe place and reminds me of North Steyne Street Manly. 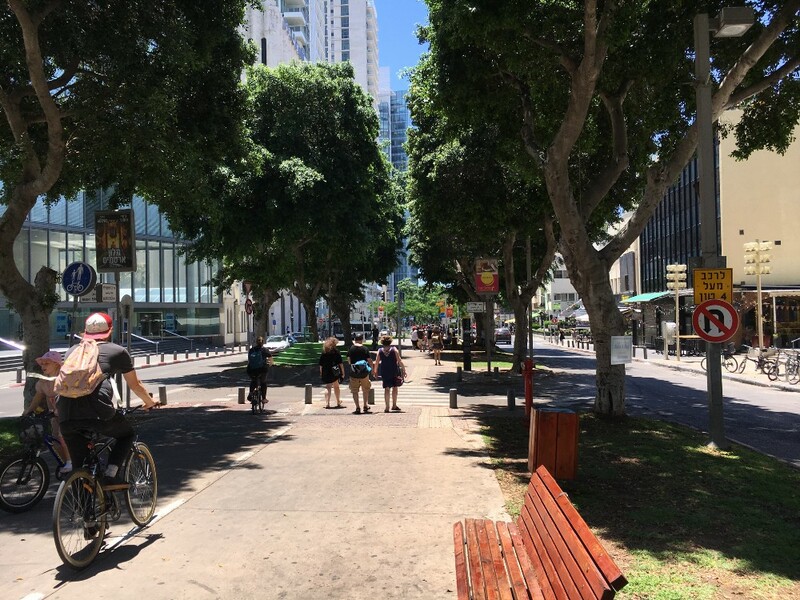 There are great coffee shops and restaurants, tree lined boulevards that are relaxing to walk down in the late afternoon and evening. 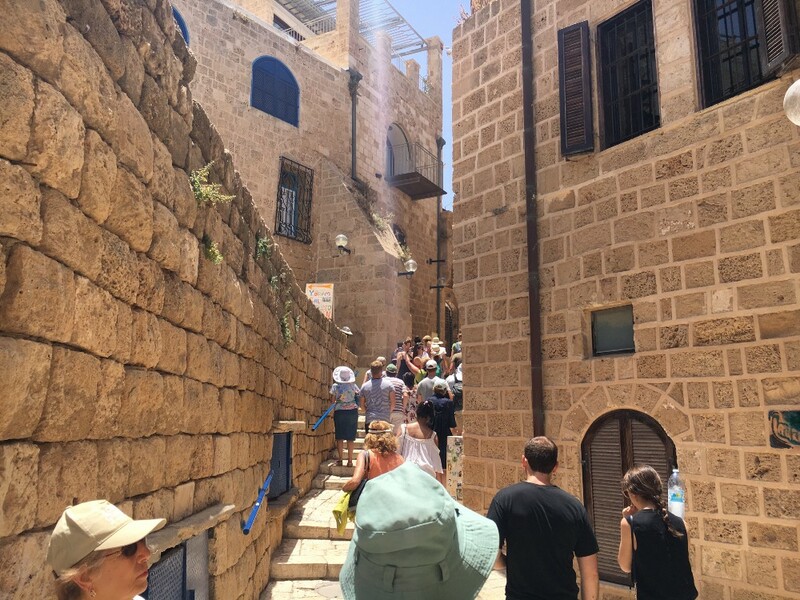 The modern city is juxtaposed with the old cities of Yaffo and Jerusalem. Which have deeply entrenched cultural and religious significance. 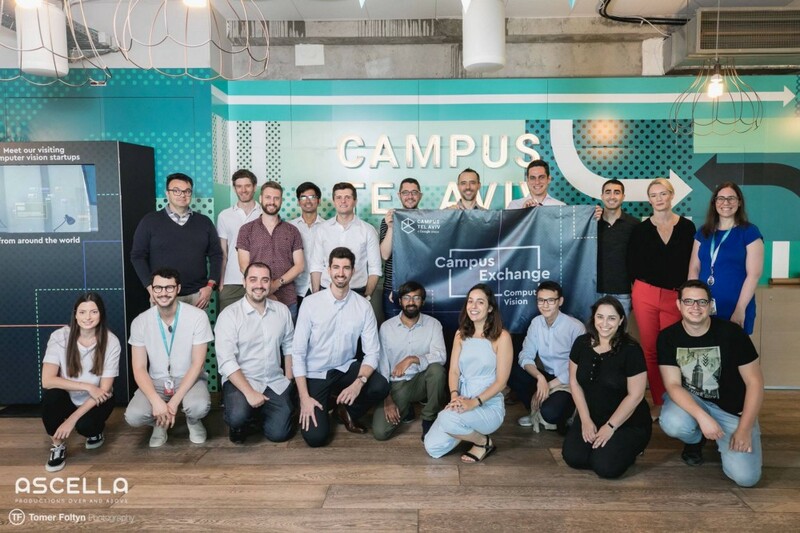 The Campus Tel Aviv Computer Vision program consisted of 10 companies from around the world ranging from 3 months old to 5 years old. 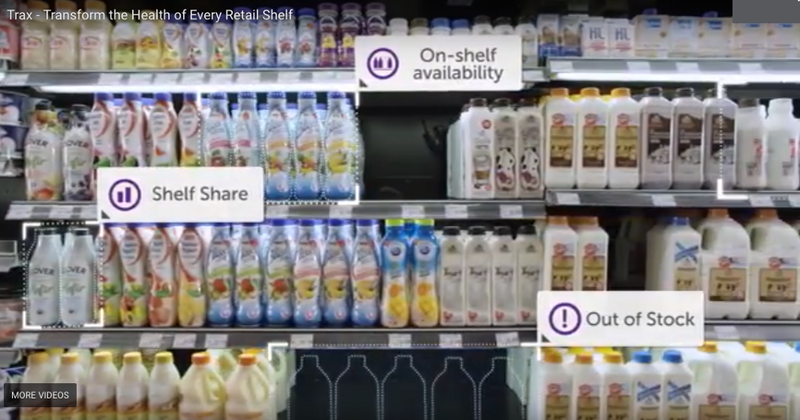 All the companies utilised computer vision in their businesses. Some of the companies were bootstrapped while others had raised multiple millions of dollars. This mix of companies at different stages made it really interesting because we could discussed the problems that we faced and someone had usually faced a similar problem previously. Also, 3 out of 10 startups were in the hardware business. This number must be higher the global average percentage of hardware startups. Traditionally they are notoriously capital intensive and hard to scale efficiently. The other companies were from around the world. From locations including Brazil, India, Ireland, Turkey, Switzerland, Spain, Australia and even Kazakhstan! This lead to some interesting discussions about the startup scenes around the world and the different types of support on offer. Each country has its pros and cons. For instance while NSW favours the matched funding model with the MVP grant, the Spanish ecosystem favours low interest loans secured by the government. The Campus Exchange program exposed us to corporates, scale ups, Universities, Mentoring, Meetups, VC’s & Accelerators and Cultural activities. 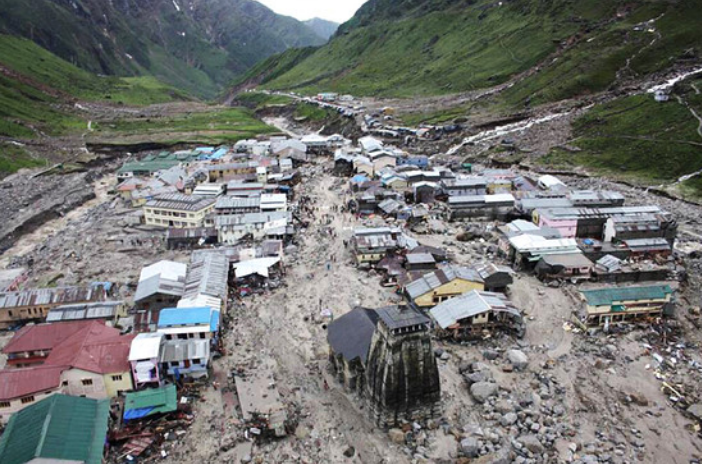 When a flood is predicted by the system it sends alerts to residents of the area and makes details available to anyone searching for flood information in the area. We had the chance to meetup with the startup liaison from Proctor and Gamble (P&G). They answered questions such as “what tips do you have for startups working with corporates?”. The answer was have patience and lots of it, because the person you are dealing with is probably managing over a dozen projects and getting approvals from all the right people in an organisation takes a lot of time. P&G showed us a demo of their skin age computer vision app. 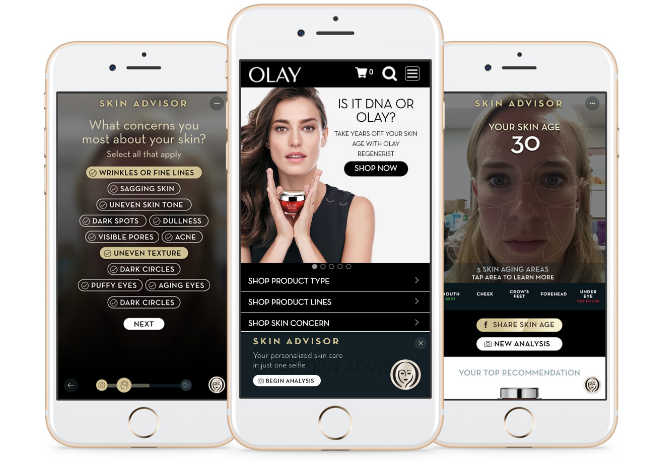 It runs on an iPad inside an in-store display for customers to estimate their skin age using a photo. It then suggests Olay products to rejuvenate their skin. We met a number of successful scale-ups on the trip. This companies had begun as startups around eight or nine years ago and have found good market fit. Trax was one of these companies. Originally from Singapore starting in 2010, Trax raised US$1.1 million in June 2011. 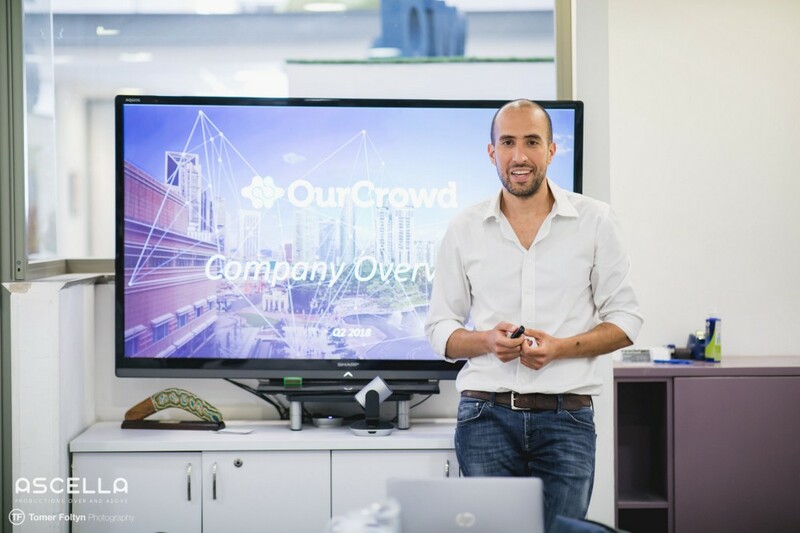 They opened their Tel-Aviv office in July, 2012, and closed their second round of funding for US$6.4 million in December, 2012. Their third round of funding for US$15.7 million closed in February, 2014. In December 2014 Trax announced its fourth round of investment of US$15 million. 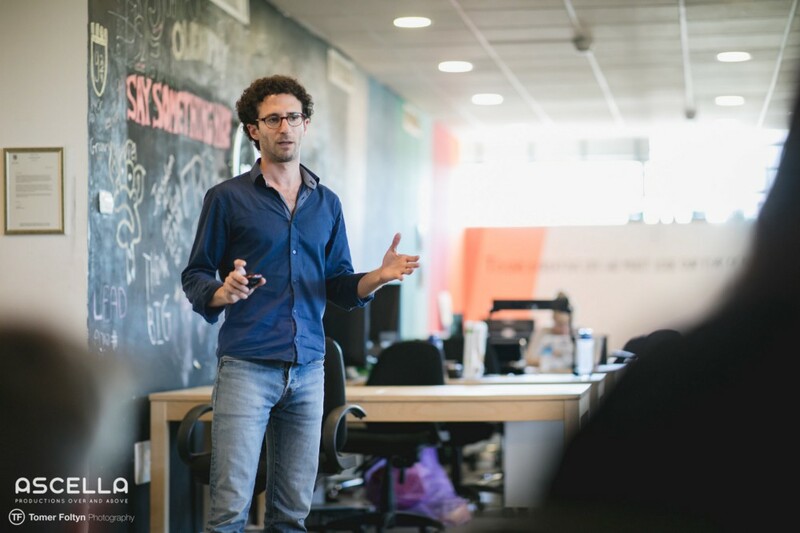 Their R&D center is based in Tel Aviv Israel to maintain proximity to some of the world’s best deep tech developers. 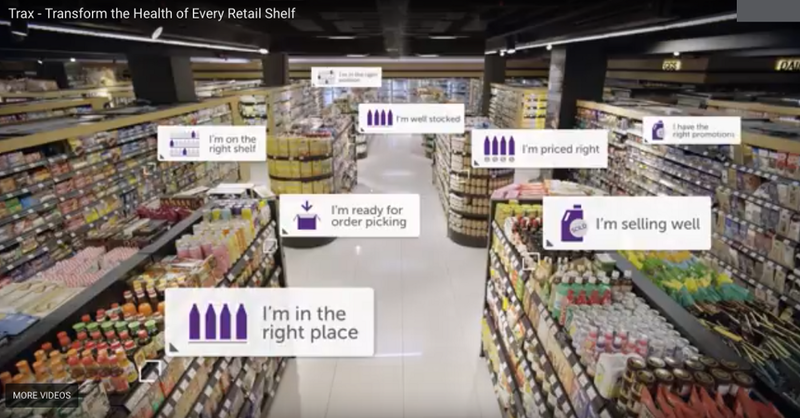 Trax is a retail computer vision solution that allows you to understand how your products look, perform and compete on the shelf with their breakthrough computer vision platform. 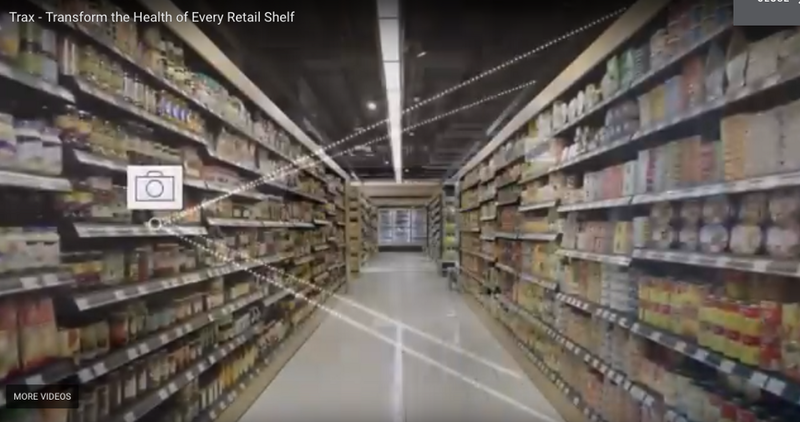 They have a very accurate computer vision system that can identify products on shelves from stitched together images. 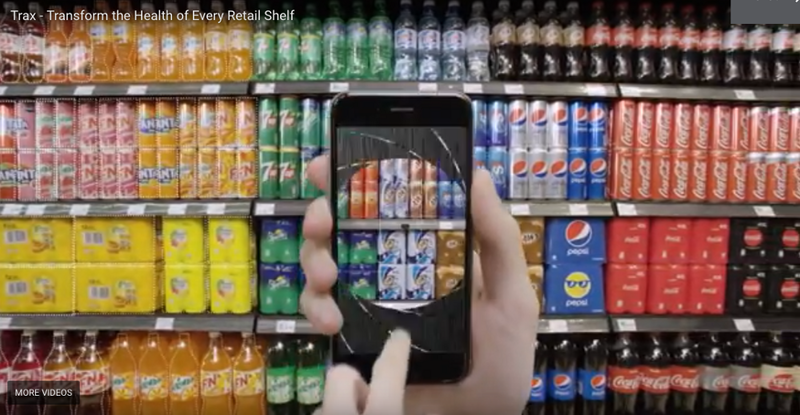 They can measure the amount of shelf space taken up by each product, identify the orientation of the product, count how many of each product are on shelf, flag shelves where stock is empty and even identify products that have a new label for a seasonal promotion like Coke’s world cup edition packaging. Here are two other scale ups that we visited. 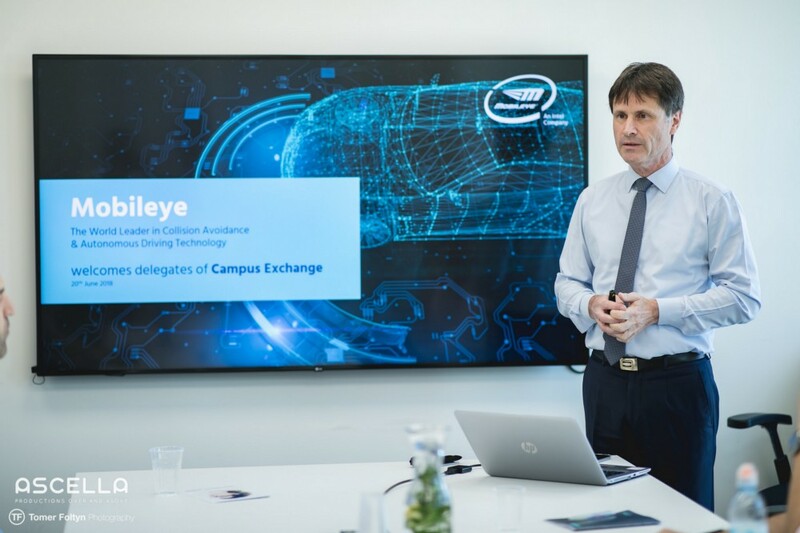 Mobileye is an Israeli subsidiary of Intel corporation that develops vision-based advanced driver-assistance systems (ADAS) providing warnings for collision prevention and mitigation. Mobileye headquarters and main R&D centre is located in Jerusalem. Their in-car alert system that uses computer vision to read street signs, speed signs, lane drift, the distance to cars in front and alerts you to cars merging dangerously close to you. This company started in 1999 and in 2017 was acquired by Intel for $15.3B. They mainly make the chips and software for the in-car collision avoidance technology in many of the top brands of cars including Nissan, BMW, and Volkswagen. 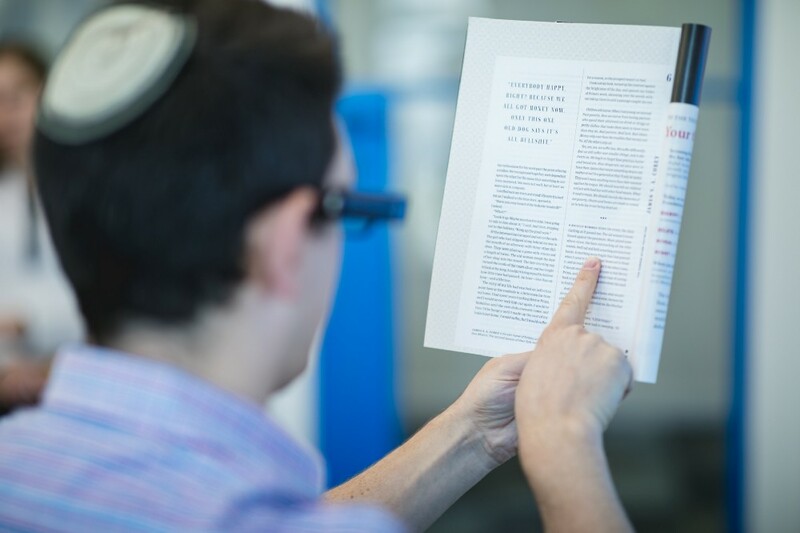 ORCAM is an amazing new product that spun off from MobileEye. 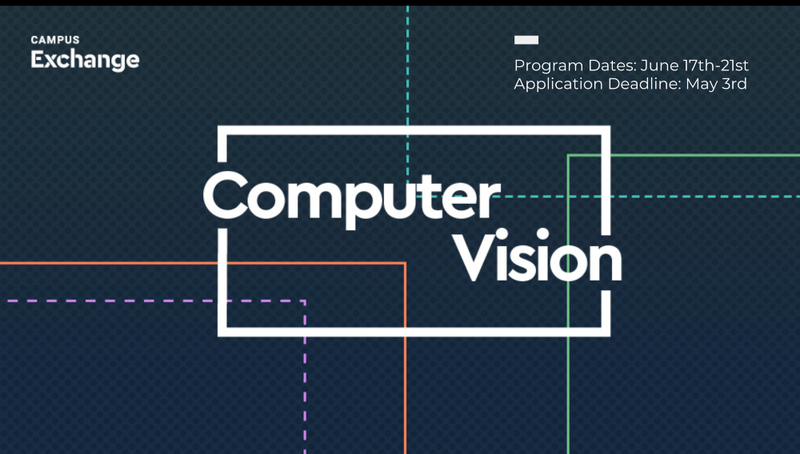 It users similar computer vision technology built into an embedded portable package that can be attached to the side of a pair of glasses. They develop and manufacture assistive technology devices for individuals who are visually impaired, partially sighted, blind, print disabilities, or have other disabilities. Their headquarters is also located in Jerusalem. 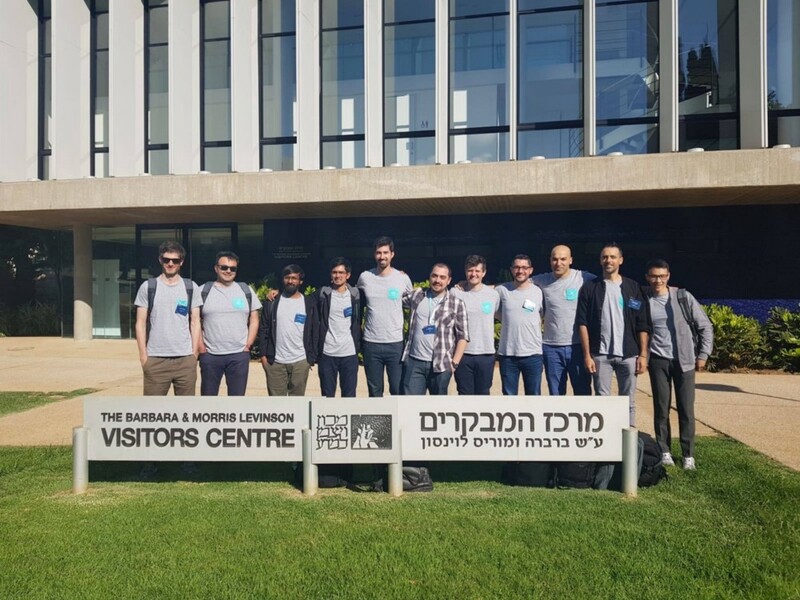 At the Weizman institute we learnt about the latest research in 3D GANs. This particular one used topological mapping of each limb of the human body to an individual mesh, which was out on separate channel in a convolutional network. We received a number of mentors from different industries during the program. I asked for marketing and business as these are my weaker areas and was put in contact with a business development manager on the Google Duplex project and the lead UX designer at an agency. They both had concerns about the scalability of a hardware solution and suggested an number of different uses for the technology we had built, all of them were SAAS platforms — easier to sell to the US market. I also met up with an Aussie investor while in Israel and have been in subsequent talks with him about working together. 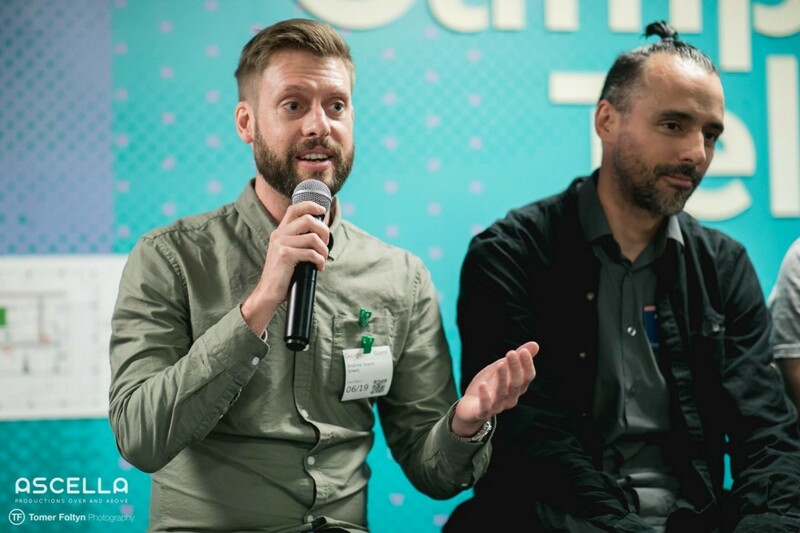 A few of us had the opportunity to present on a panel in front of a computer vision meetup hosted by Google. The panel was a discussion on the startup ecosystem in our countries. 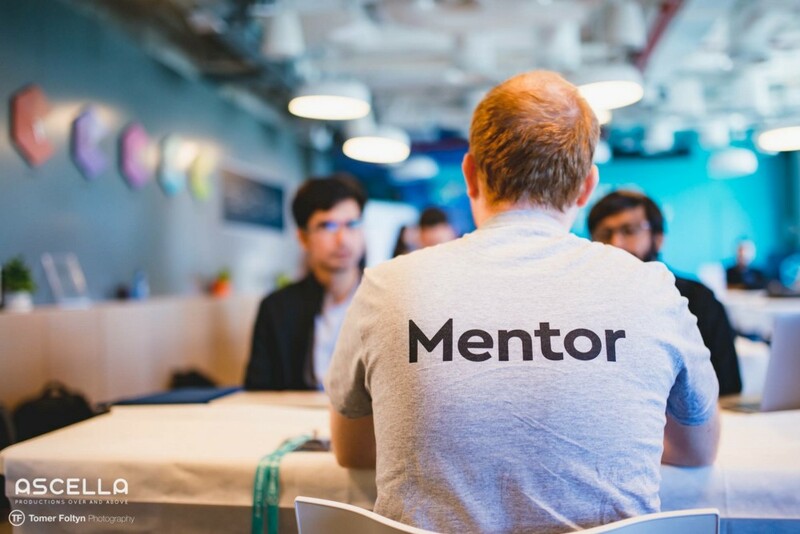 We met up with some VC’s and accelerators while overseas. 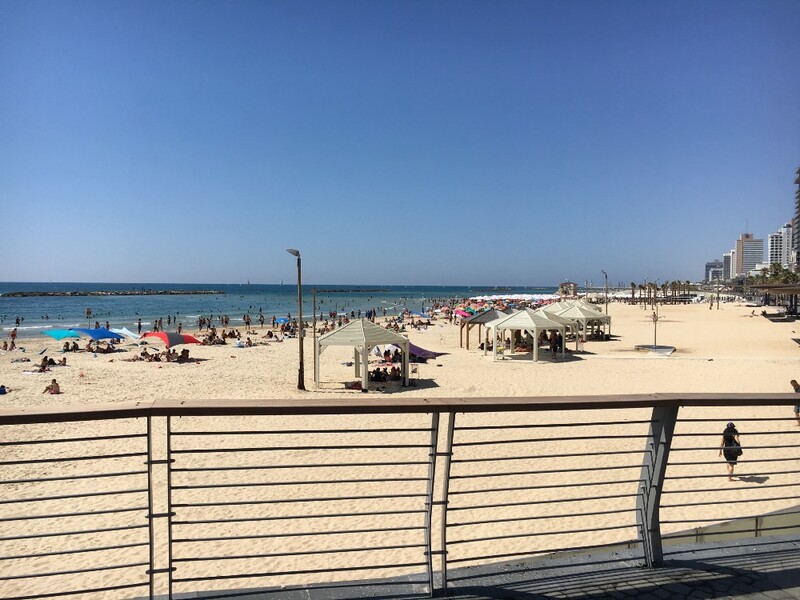 There is a new model for accelerators forming in Tel Aviv too. The Bridge by Coca Cola is an accelerator program that provides office space and mentorship with no equity exchanged. The goal of the program is to get the startups proof of concepts with Coke and its other partners including Mercedes-Benz. 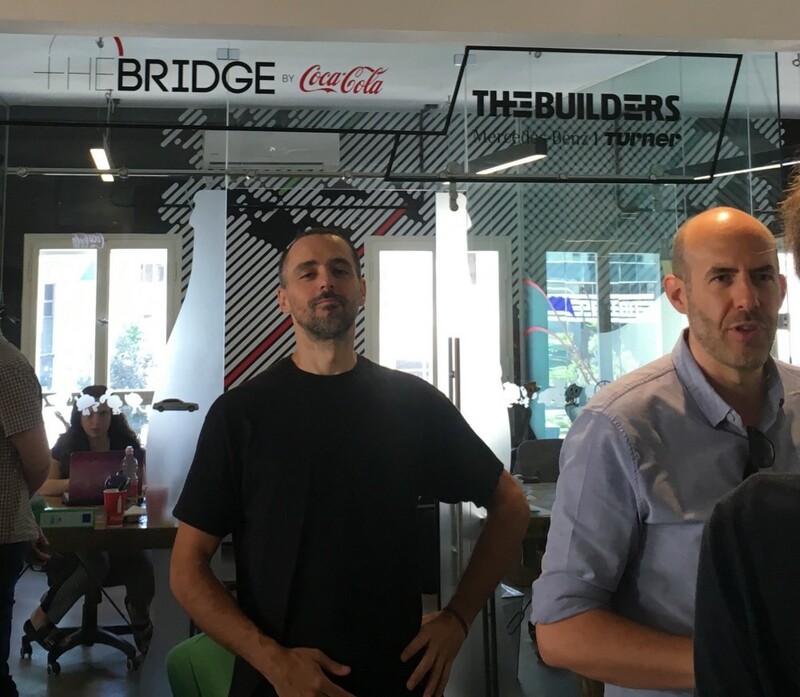 The Bridge is funded by Coca Cola and work works in a consulting capacity where they are incentivised by the corporate to find the best startups that can eventually be integrated and acquired by the corporate or spun off into a side business. The startups accepted into the program have a 6 month non-compete clause that prevents them working for other corporates during the accelerator. 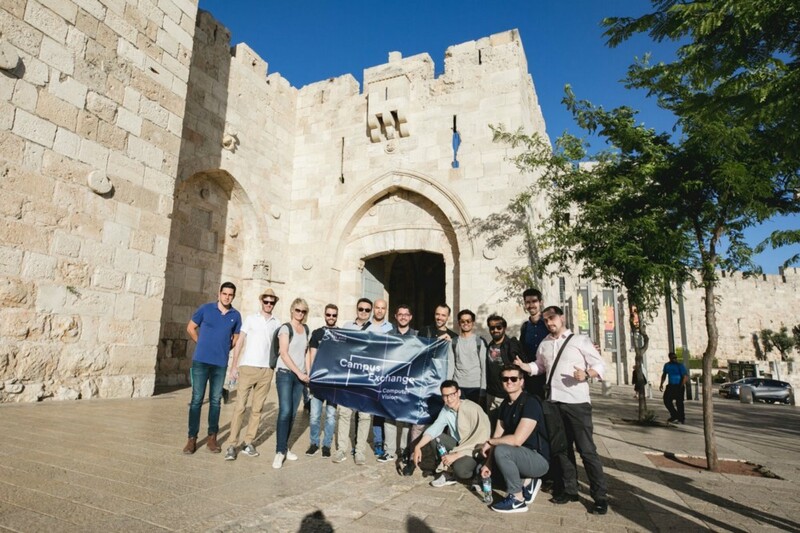 While we were there a number of the people we met mentioned the Israeli startup formula. This seems to be the formula many startups follow. 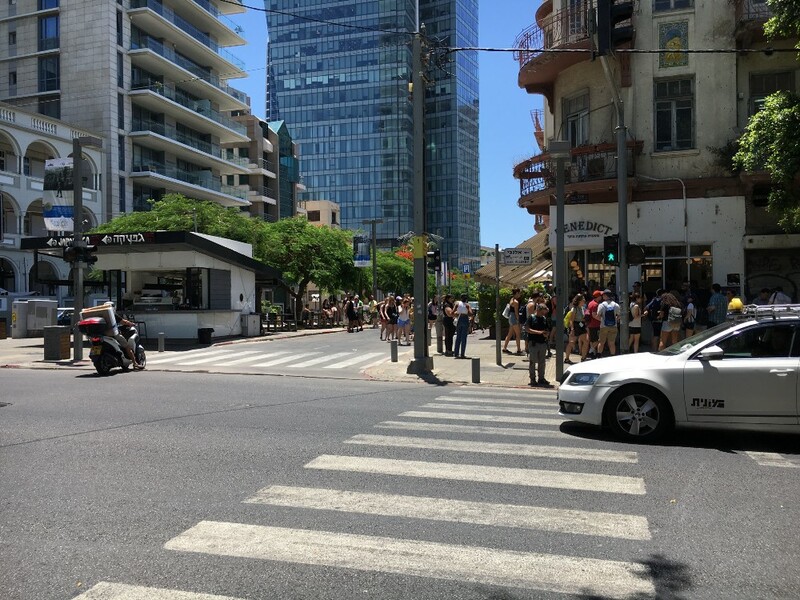 And Israeli startups are renowned for growing and then exiting quickly. The tech scene over there is incredible. There are research center for some of the biggest internet companies including Google, Amazon, Microsoft, intel and Facebook. They chose to move their R&D to Israel because that is where some of the most talented developers in deep tech live. This skill base seems to have developed partly due to the military and the good universities in the country. The military is a big part of life in Israel. 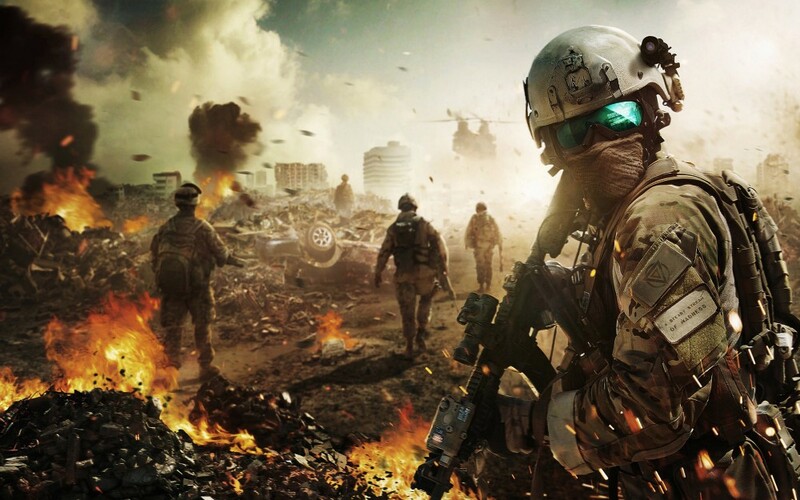 Everyone joins the military after high school, around age 18, for 3 years compulsory service. 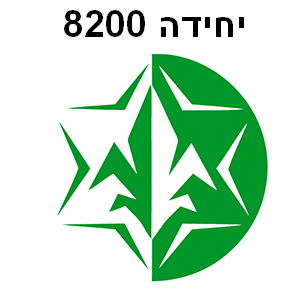 One of the biggest parts of the Israeli Defense Force (IDF) is Unit 8200. THis is a signal intelligence unit responsible for gathering intelligence and decrypting codes. It is largely made up of 18–21 year olds who have been trained in programming and hacking skills. This experience in programming and hacking, combined with a university degree in computer science seems to be part of the reason Israeli software engineers are some of the best in the world. If you enjoyed reading this please sign in to Medium and give me some claps. Also follow me on all the socials, thanks!